Yep, it's that time of year that everyone loves/hates. When your Instagram feed turns into a barrage of stock photo collages. When you have to listen to every blogger talk about how they are OBSESSED with this and that. I admit, as a blogger, the Nordstrom Anniversary Sale gets pretty annoying and overwhelming for me, too. But, alas, it doesn't deter me from shopping the sale because it legit is my most favorite sale of the entire year. Why? Because you're not getting discounts on things that are on clearance and that are on their way out of stock at the end of the season when you're tired of wearing that season's styles anyway. You get awesome deals on NEW styles in preparation for the next season! Sale opens to the public July 21st and ends August 6th. Yes, I realize summer JUST officially got here, so it's hard to get in the mindset of buying jackets and sweaters and booties. But it's so convenient that when fall does get here, you already have a good base for your wardrobe! Kind of like getting all your Christmas shopping done before Thanksgiving! And there are so many pieces I have gotten from previous anniversary sales that have been long time favorites that never go out of style. All that said, as with past anniversary sales, I am sharing my wish list first and foremost! I haven't gotten my catalog in the mail yet, which makes me sad, and since it's already July, I went ahead and searched the catalog online and screenshot all my favorites! Let's get started!! The color of this sweater is gorgeous and the scallops pull at my heart strings! The last couple of years, I went a bit overboard on chunky, more oversized fitting sweaters, so I love that this is more tailored. Bags and shoes are the two things I LOVE to shop for during the anniversary sale! I mean, come on! Almost $100 off a new season bag? Yes and yes! And how gorgeous is this embroidery? I really need this bag in my life. A bit trendy with the cold shoulder AND the tie sleeves, but it's worth trying on for me. Plus the color is my favorite for fall and I love how they paired it with the charcoal skinnies. 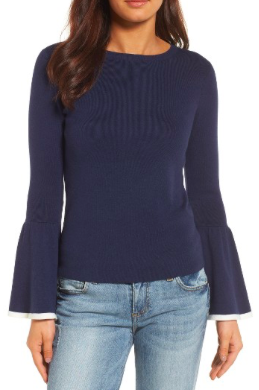 Just like with the scallop trimmed sweater, I love that this is a basic navy sweater, but the flare sleeve makes it fun! I love the ivory trim at the end of the sleeve, too. What a cute detail. 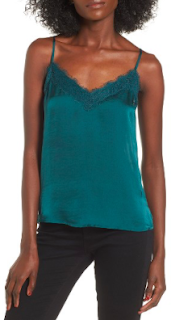 The color of this cami definitely made me look twice at it. It looks fab paired with an easy cardigan. It's such a great saturated color and will be a good base layer. Bonus points for being able to wear it in the summer, too! 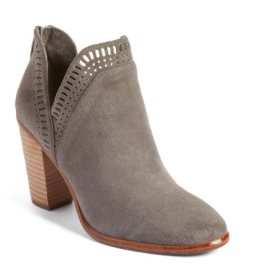 I have a hole in my boot collection when it comes to grey booties. Hard to believe, I know. The perforation detail is so good! And the split shaft makes for a great silhouette! Olive and peplum, yes and yes! I love the idea of this. It will definitely need to be tried on. 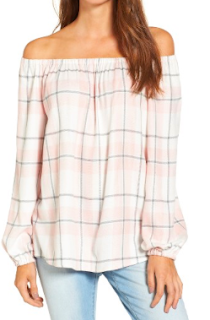 I'm not crazy about the fit of it on the model wearing the striped top. I'm hoping it will not be as boxy looking in real life, or that I can size down for a better looking fit. 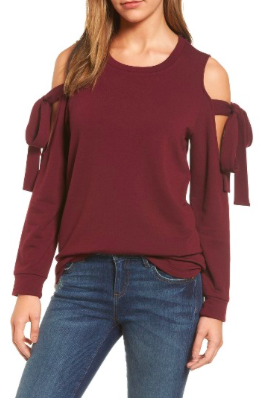 I am on the fence about this top as I'm not sure the sleeves will be too overpowering on me. 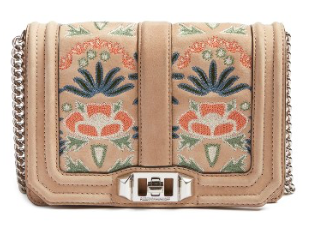 But I really like the tapestry floral, so it's definitely worth the try! 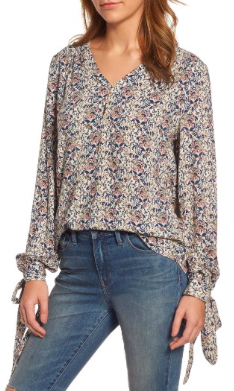 I also like that it's not tunic length because so many tops that look like this are tunics or overly flowy. 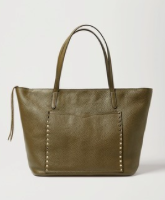 I've been using my Madewell Transport tote pretty incessantly to work. It's very convenient! 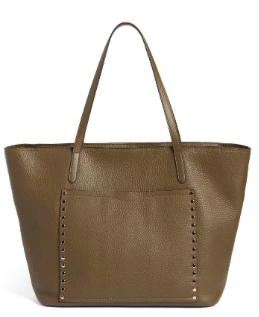 This looks like it would be a good stand-in bag when I want to give my Transport tote a break! And it's olive. So. I know, I know. I need to cool it on the off the shoulders, but I can't help it! It's flannel! It looks so cozy, I have to touch it! And how pretty is this plaid in pink? Depending on the weight, I could even wear this now in the summer with some ripped up denim shorts. Definitely worth trying on and snuggling with it. I always use the anniversary sale as my opportunity to snag a new pair of Zella leggings at a good price! I don't have a pair of ripped workout leggings yet, so I want to try these! I love the couple of pairs of high-waisted Zella leggings I already own, so I'm hoping these will work well! And that is it! Ha! Ok, that's a lot, I know. I just counted the Nordstrom Notes that I have saved up over the last year and I have $300 to spend! Woo! $300 + sale prices makes for such a happy shopping day! I have my shopping appointment confirmed, so now it's just time to officially count down! What do you have your eye on? 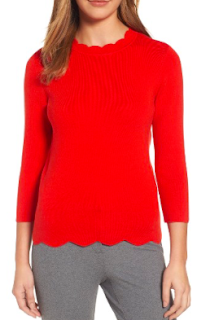 Oh I really like the red scallop hem knit, cute piece! :) I hope you have fun shopping the sale - you do see it around on a lot of blogs, but like you said there are a lot of reasons for that. The only reason I haven't shopped the Nordstrom sales is that the shipping is so expensive to Australia, boo! Love all your picks for this sale. I adore the grey booties! Thanks for the link up. Whohoo!! $300 to spend + Sale Prices is the best thing ever! Have fun! 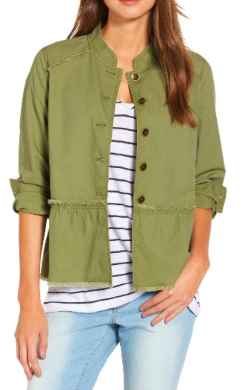 Oooh I love that green cami and cannot wait for this sale. I'm hoping they have cute shoes for the new season. How fun to see your sale picks. I'm with Rachelle on that green cami! That's a pretty color and would be something I could wear on its own now and with a layer later. That's so funny...the time of year everyone "loves/hates". I'm one of the haters. The second I saw the title of the post I was like "Oh no, not this again". LOL! I just don't shop at Nordstrom. Even their sale of the year prices are unaffordable to me, so I just don't get what all the hype is about. I can't believe it is time to thinking about fall already! I was a little disappointed with the Nsale catalog this year (but my wallet was happy!). I really like that red sweater, the green, and those booties though! 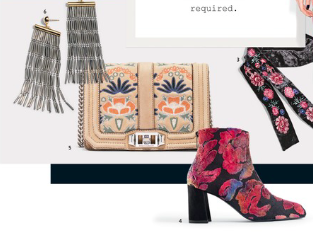 I may have to add those booties to my wish list. Those Halogen pieces are so cute and perfect for the office! Great picks, Caryl!